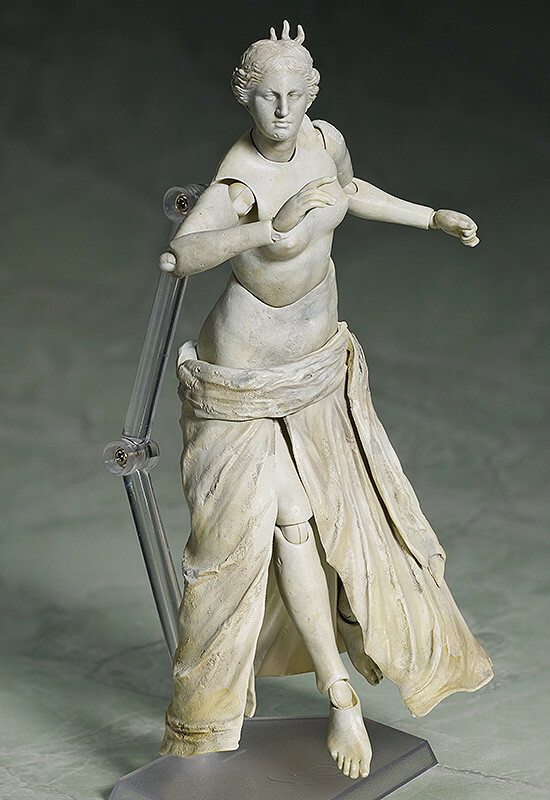 figma Venus de Milo is so beautiful that she is being rereleased! 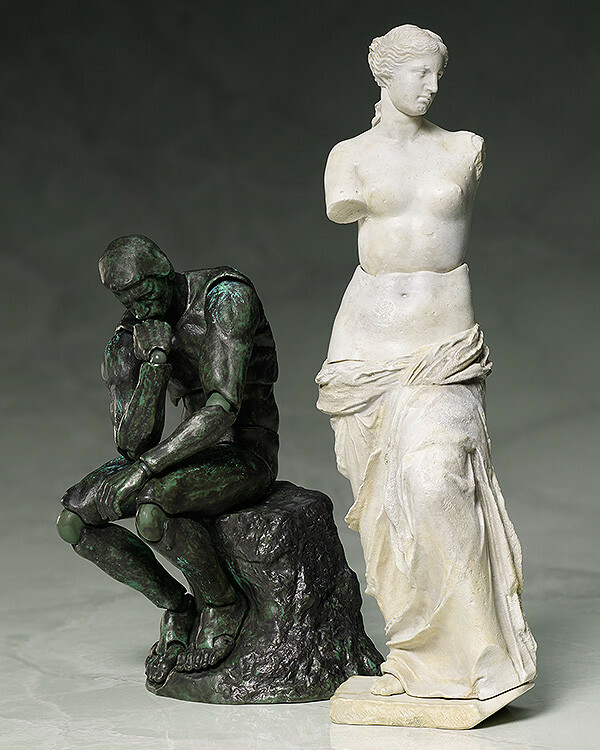 'The Table Museum' is a series of figma figures based on famous works of art that almost anyone would recognize! 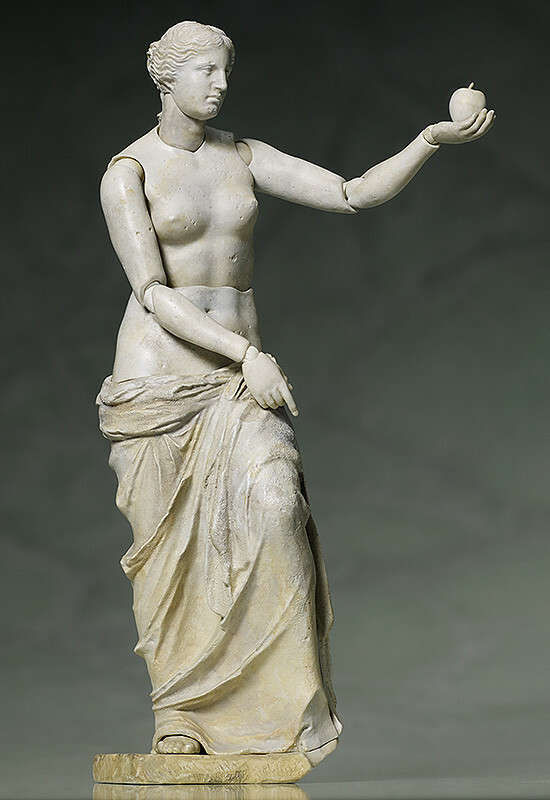 The second figma to join the series is the mysterious statue found on the Greek island of Milos - Venus de Milo. 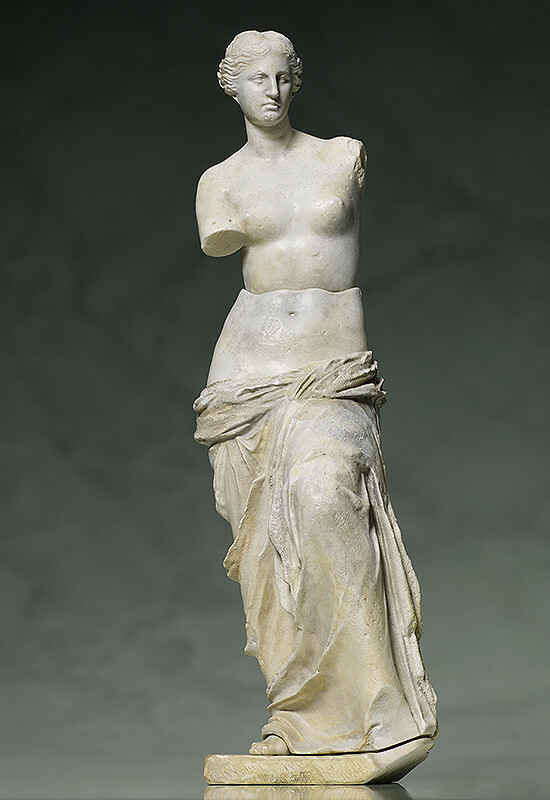 The masterfully sculpted statue is known for both its graceful appearance as well as the intrigue inspired by her mysteriously missing arms. 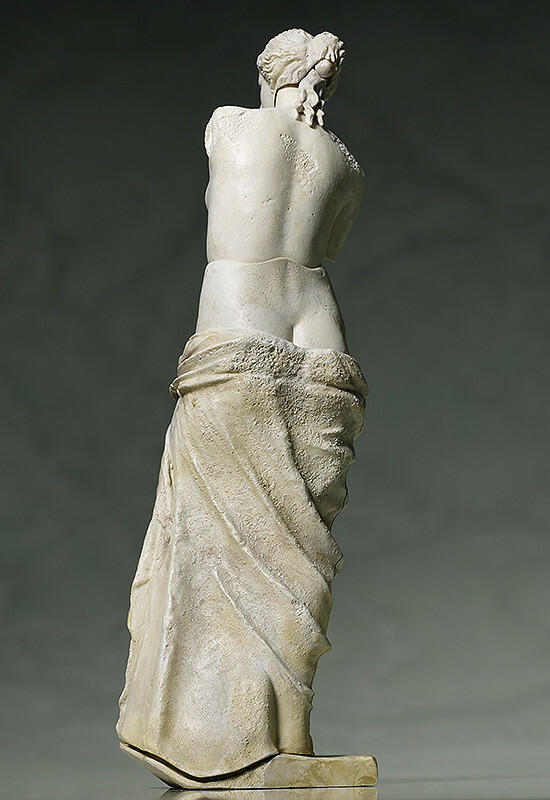 It allows one to enjoy the intricate sculpting as well as consider the many mysteries of ancient Greece. 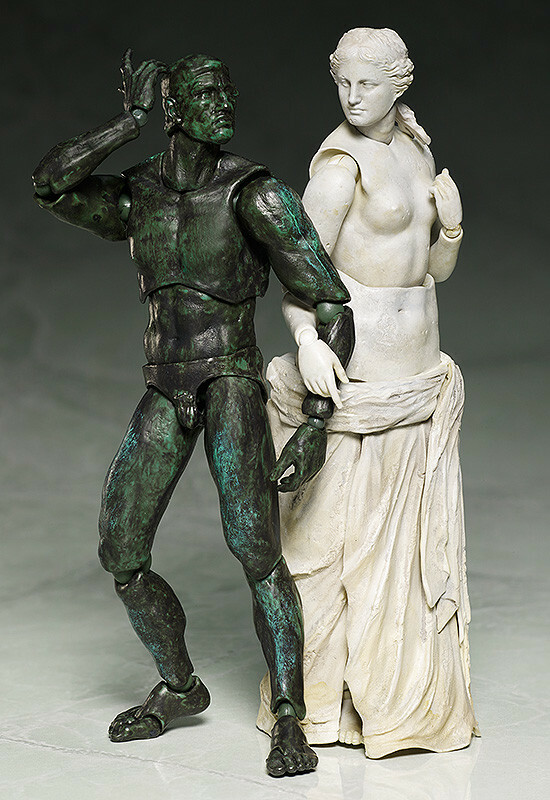 Using the smooth yet posable joints of figma, you can act out the classic Venus de Milo pose and various other action poses. 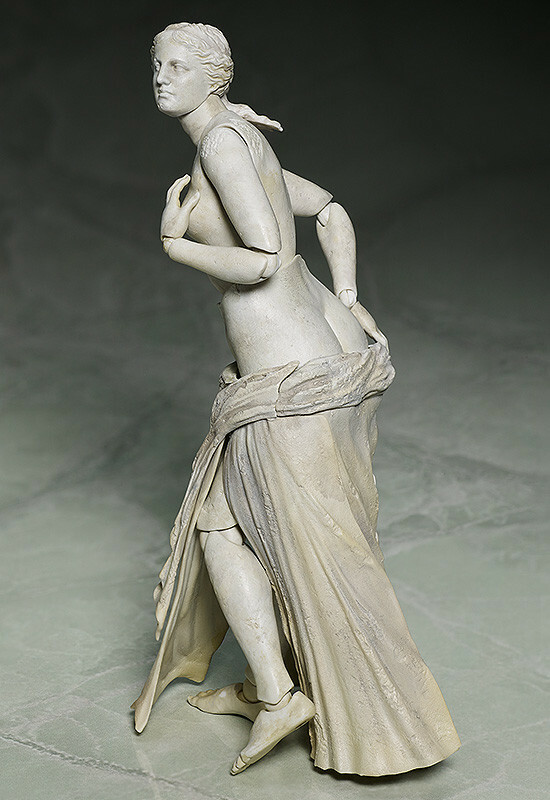 A special stand, chest and head part are included to recreate the classic pose. 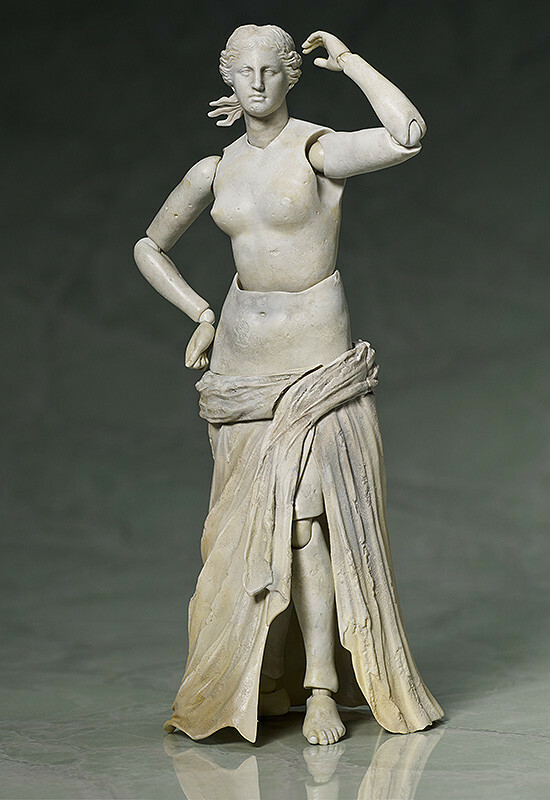 Alternate parts such as her missing arm parts, an apple and various hand parts are also included for other poses. Painted ABS&PVC non-scale articulated figure with stand included. Approximately 155mm in height. Preorders will be open from 11th May 2017 (Thu) from 12:00JST until 8th June 2017 (Thu) at 12:00JST.